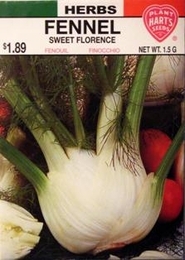 This variety produces a large bulb at the surface of the ground which makes an excellent vegetable with a peculiar but pleasing flavor. It is widely used in Italy and by people of Italian descent in this country. When plants are half grown, blanch the bulbs by piling soil around the bottom of the plant to cover the bulbs.